Champagne Barons de Rothschild Brut NV uses three to four-year old Chardonnays and Pinot Noirs from only Grand and Premier Cru vineyards. The blend is an assemblage of 60% Chardonnay primarily from Grand Crus in the Côte des Blancs and 40% Pinot Noir mainly from the Montagne de Reims. Aged for at least three years, Barons de Rothschild Brut NV has a high 40% reserve wine content. Tasting Note: Pale gold with a fine stream of bubbles, on the nose initial aromas of pear and nuttiness give way to hints of brioche. On the palate: a linear and lively flavour of orchard fruits and hazelnuts, on the mid-palate: the texture is creamy and has an elegant freshness. The finish is long with light flavours of white flowers and toasty characteristics. Pairing with light dishes, scallops and shellfish will bring out the best of this champagne. “60% Chardonnay, 40% Pinot Noir. This is also the blend currently sold as the NV Ritz champagne. Based on 2009. Currently 7g/l. In 2003, the most famous name in wine turned their attention to the sparkling variety, founding Champagne Barons de Rothschild. Setting out to create a brand of the highest quality, they began by combining the very best terroirs with Rothschild expertise for the sole purpose of producing excellent Champagne. Experiencing incredible early growth, the House managed to secure contracts to an impressive 72 hectares of vineyard, with 50% located in Grand Cru rated Le Mesnil-sur-Oger and Premier Cru rated Vertus. With their winery, Chateau Rothschild, and the majority of their vineyards located in the Côte des Blancs, the house-style is Chardonnay focused. They began selling their Champagne in 2009 and now produce over 500,000 bottles annually - an astounding number for a company with only a decade of history. The range includes a Brut, Extra Brut, Rosé, Blanc de Blancs, Vintage Blancs de Blancs and even a specially created cuvée exclusively for the Ritz-Carlton Hotel Group. With over 150 years of experience in the winemaking industry, the Rothschild family are quite simply the most famous name in wine. Whilst not establishing a direct presence in Champagne until 2003, they have had an interest in the region since 1945, beginning with an investment in Champagne Ruinart. This was sold to LVMH in 1963, but the family returned in 1966, purchasing shares in Champagne Henriot, a partnership that lasted until 1988. The family’s love affair with Champagne was subsequently put on hold until 2003, when the three Rothschild cousins Baron Benjamin, Baron Eric and Baroness Philippine came together with a single ambition: to combine the best terroirs with their know-how and finally add champagne to Rothschild’s huge portfolio of wines. Thus, Champagne Barons de Rothschild was born. 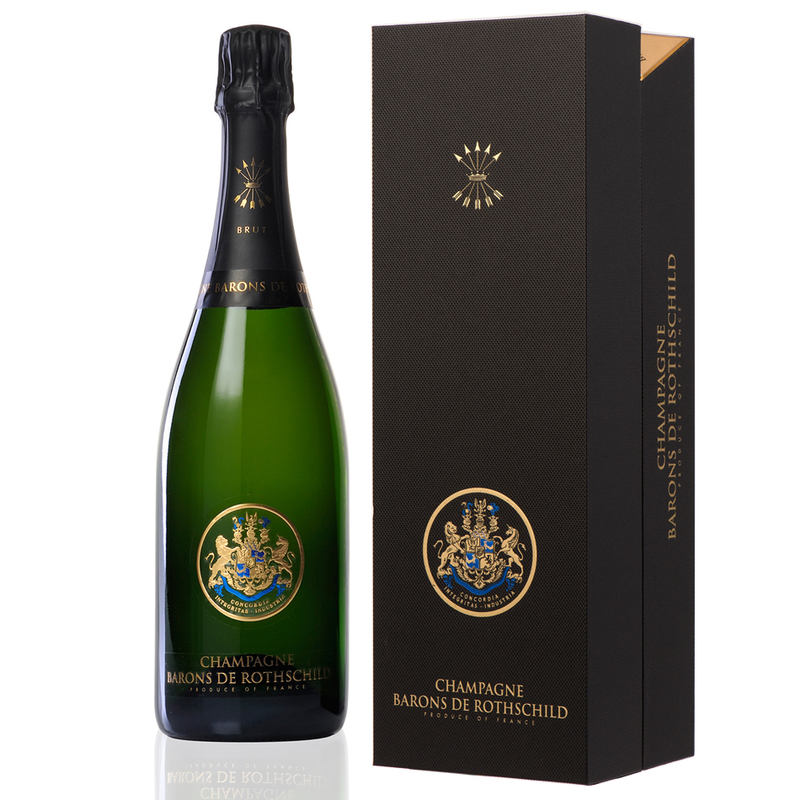 Barons de Rothschild began selling their champagne in 2009, initially targeting the Japanese and German markets due to their familiarity with the Rothschild name. After Japan, they next focused on Switzerland and Belgium due to Rothschild family connections and experienced great success in both markets. Their first vintage blend – Blanc de Blancs Vintage 2006 – was released in 2015 and last year they announced that two specially created cuvées will be produced exclusively for the Ritz-Carlton Hotel Group. 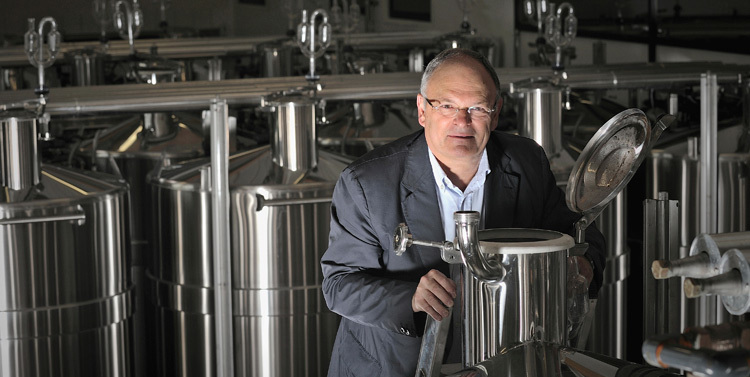 They now export to 70 countries worldwide and produce over 500,000 bottles annually – an astounding number for a company with only a decade of history – and are firmly accepted as a serious name in Champagne.